Jessica O Dwyer is the adoptive mother to two children born in Guatemala. Her essays have been published in the San Francisco Chronicle Magazine, Adoptive Families, and the Marin Independent Journal; aired on radio; and won awards from the National League of American Pen Women. She has worked in public relations and marketing at the San Francisco Museum of Modern Art, the Los Angeles County Museum of Art, and the Museum of Contemporary Art San Diego, and has also taught jazz dance and high school English. Jessica is a member of the Left Coast Writers and Writing Mamas, sponsored by Book Passage. A graduate of the University of Delaware, Jessica lives with her husband and children in the San Francisco Bay Area. 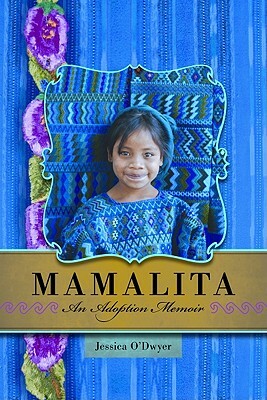 Mamalita is her first book." I've never given birth,” writes O’Dwyer, but I know the exact moment when I became a mother: 10:00A.M., September 6, 2002”–the moment she and her husband sat in a hotel lobby, awaiting the infant girl they hoped to adopt. Yet this celebratory moment was soon overshadowed by the corrupt Guatemalan adoption system. The author recounts her initial naiveté, how she and her husband shelled out vast amounts of money to adoption facilitators and notarios in order to assist them in wading through the red tape of a foreign adoption. Yet nearly two years and thousands of dollars later, O'Dwyer and her husband remained no closer to their goal. Rather than continue her transcontinental flights, the author quit her job and moved to Antigua to focus on her daughter's adoption full time. This decision led her into the dark side of adoption, a seedy terrain in which she was forced to weave through the barbs of a system set up to exploit the most money and resources from potential parents. Armed only with her elementary–level Spanish, she was forced to rely on a small band of trustworthy Guatemalan officials and potential American mothers struggling through the same experience. Her obsessive quest was constantly hampered by paperwork, signatures, DNA tests and countless other bureaucratic pitfalls. But despite the tragic circumstances, the optimistic author tells a hopeful tale in which she viewed every procedural misstep as a step leading her closer to her daughter. A scathing critique on a foreign adoption system and the harrowing account of one woman’s attempt to fight it.